Eve may have introduced herself to the world as a fiesty rapper with the Ruff Ryder's, but she has turned into a actress & overall business woman. 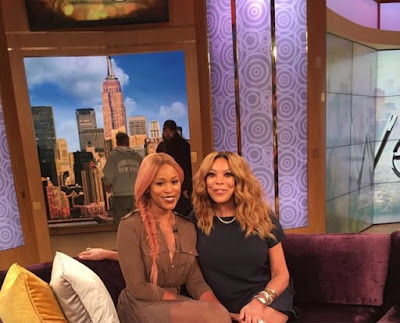 High off her hosting gig at the VH1 Hip-Hop Honors she was a guest today on The Wendy Williams Show. During her intimate conversation with the the daytime talk show host she spoke about married life to husband Maximillion. The Philly native also chatted about hair weaves & her current tour with friend Gwen Stefani.